There is an increasing demand on the productivity of crops, and the use of biofertilizers in the production plays an important role as a supplement to improve the growth and yield of several agricultural plants. Plant growth results from interaction of roots with the environment. 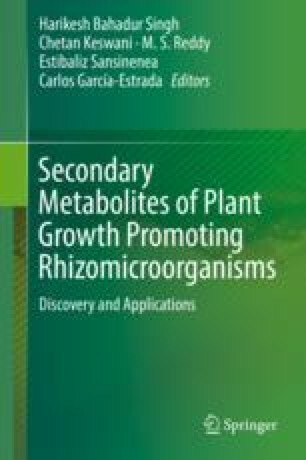 Plant growth-promoting rhizobacteria (PGPR) are able to facilitate plant nutrient acquisition and can also act as biocontrol agents by suppressing soilborne diseases. The mechanisms by which these bacteria act are multiple and diverse. Several Bacillus species have been identified as plant growth-promoting bacteria since they suppress pathogens or otherwise promote plant growth. Improvements in plant health and productivity are mediated by three different ecological mechanisms: production of antifungals that cause antagonism of pest and pathogens, secretion of compounds that promote the plant growth and stimulation of plant host defences inducing the plant systemic resistance. The present review indicates the role of Bacillus spp. as PGPR with biological promotion of different characteristics of plant growth.